As technology and the world around us grow more complex, so do legal and ethical obligations. Nevertheless, every organization must be guided by a clear understanding of legal requirements and ethical principles. Thus, while it remains an international organization, VITA is committed to compliance with United States and international laws and has adopted the International Information Exchange Policies and Procedures (VITA's "IIEPP") to guide its employee, agent, and member conduct in international information exchanges. See the copyright and use notice below applying to the IIEPP. The VITA Board of Directors approved the IIEPP as of 20 July 2007. VITA Standards Organization is currently operating under these approved policies and procedures. VITA does not manufacture any products and its policy is not to export any information or provide any service that is controlled under the Export Administration Regulations (EAR) of the US Department of Commerce, or the International Traffic in Arms Regulations (ITAR) of the US Department of State. Rather, VITA develops open standards constructed from publicly available information provided by its members. Those standards are used by a broad range of manufacturers world-wide in products with a variety of commercial and military applications. Although VITA's standards may appear in military applications, they contain no export controlled information and are not developed using any controlled information. VITA's international information exchange compliance efforts are coordinated through VITA's Technical Director, with responsibilities described in the IIEPP. VITA's International Information Exchange Policies and Procedures (IIEPP) and other VITA policies and procedures are copyrighted and the property of VITA. They do not constitute legal advice. Rather, VITA's policies and procedures are provided solely for member and employee use in conjunction with VITA activities and may not be relied upon for legal or regulatory advice and analysis. 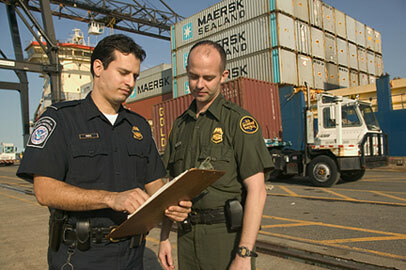 They are not intended to replace the International Traffic in Arms Regulations (22 CFR Parts 120-130) or other government regulations or regulatory documents, and do not relieve service providers, exporters, or importers of their statutory duties to comply with current laws and regulations of the United States. VITA shall have no responsibility or liability, implied or implicit, in whole or in part, arising from any unauthorized use of its policies or procedures. In no event shall VITA be liable for any damages whatsoever, including, without limitation, direct incidental, indirect, or consequential damages, damages for loss of business, damage to reputation, loss of profits, business interruption, or other loss arising out of the use or inability to use VITA's policies and procedures or errors or omissions in the policies and procedures, even if VITA has been advised of the possibility of such damages. By continuing to use VITA's website you are deemed to accept the above terms and conditions. Copyright 2015 VITA. All rights reserved. No claim to U.S. Government Works. 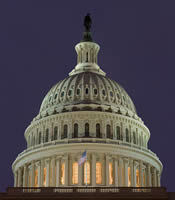 No part of VITA policies and procedures, exclusive of U.S. Government works, may be reproduced or transmitted in any form or by any means without VITA's written consent.